Like first-person shooter? Enjoy the zombie headshots? 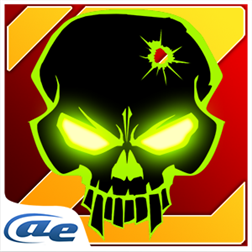 AE Zombie War Zone blockbuster hits! Realistic 3D scene and sound effect, diverse choice of weapons, stable upgrading system and challenging levels included will give you an unprecedented competition experience with masters all over the world! Any feedbacks please email us, because we can’t reply on comments. Thanks very much for all your support in our games!